Reginald was once more involved in the erection of a church in Nuneaton. 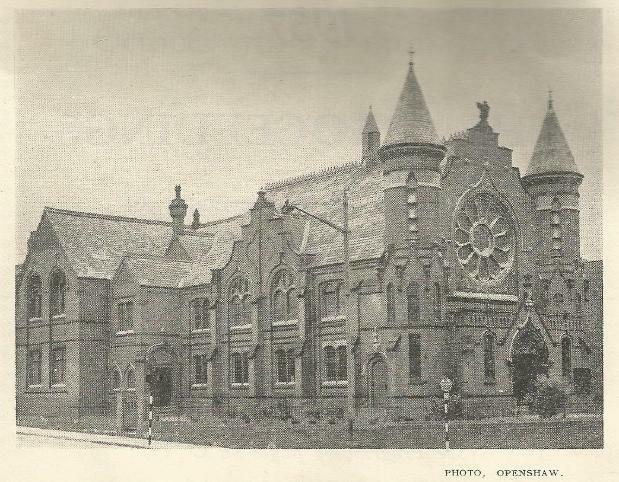 This time the Primitive Methodist Church on then Arbury Road (later Wash Lane and Queens Road today) was benefiting from his generousity. Some twenty years before they held a meeting and it was decided that a new Chapel was needed. 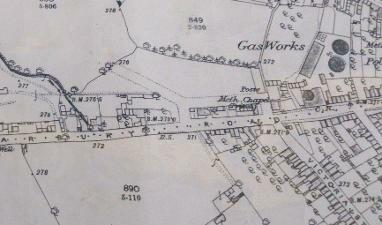 The Tin Chapel that they current resided at, close to the entrance of the Nuneaton Gas Works (see map below) had become unfit for the congregation, so a piece of land opposite was purchased. The 3rd July 1896 was to be a 'red-letter day' in the annals of the connexion and the committee had arranged an elaborate ceremony. The weather on that Wednesday didn't start well with a massive down pour putting the programme under jeopardy. Lucky the ominous grey clouds dispersed and by the afternoon it had turned out quite nice, so much so a hundred church goers made their way from the Gas Works old Chapel across Arbury Road (Queens Road) to where the streamers and flag adorned scaffolding outside the new site. Mr Taberer and Mr Mallabone were the only committee member left from the original meeting all those years ago, so they were very pleased to praise Reginald in the speeches. They were 'eternally indebted to our highly respected townsman', 'truly he is a man whose heart God has touched'. After a hymn was joyously sung, Rev T.A McCready (right) the current Primitive Methodist Minister chaired the stone laying ceremony. He handed out trowels to the VIP's and a presentation was made consisting of three hymnals by Rev George Lee of Cheshire. I currently don't have a picture of this stone, but the wording on Reginald's stone was as follows. Reginald addressed the crowd gathered and spoke about how God had given the Primitive Methodist's the power and belief. He had the great pleasure of giving the church a helping hand, to which he got a round of applause. Mr W Taberer announced that they had a £25 donation from Mr Stanley and £10 from Mr J Foulds, Mrs Henry Lester and Miss Powell. Later that day, as seems custom, 600 sat down to tea at the Wesley School and it was announced that the total already received towards the build was £955 15s 6d. 'A modern adaptation of Gothic structure', 'its constructed of Wain's best heather bricks and excellently arranged relief of Bath stone, well carved by capable workmen. On the apex of the roofing, over the main entrance, is a finely carved eagle, and the window is a grand one, the cathedral glass in it, contributing to it beautiful effect of the stone design. Beneath the window is some more fine carving, amid which appear the words on a scroll Primitive Methodist'. They had accepted the quote by Mr Williams of Tamworth to build the Church and School for £2250. The original plan was to build both separately but instead deciding it would be advantageous to build the School and Church at the same time. A photo taken by Openshaw, and included in the Diamond Jubilee Booklet of 1957. (QRM15) Margret Woodward. 'Presented to Mr R Stanley Esq J.P, on the occasion of his opening the Primitive Methodist New Church and Schools, Nuneaton, July 8th 1897'. Dr Broadbent opened the front door to the Church with the word's 'Let us enter into His gates with thanks-giving and into His courts with praise'. 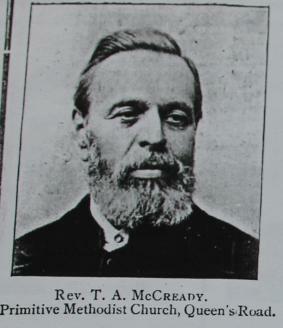 Once he was inside the rest of the congregation followed and various hymns were sung and Dr Ferguson was charged with the reading the sermon. 'Making a new joyful noise' at The Prims. 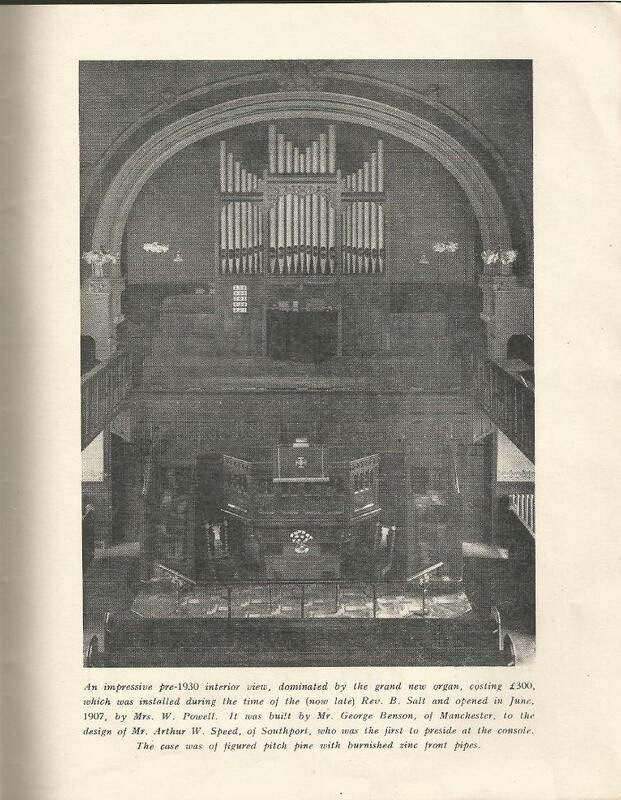 On a bright June day of 1907, The Primitive Methodist celebrated this time the opening and dedication of a fine new organ. It had been erected at a cost of £300, of which Mr Andrew Carnegie, the famous philanthropist donated half the money. Mr Carnegie's interest in music led to him funding the construction of 7000 organ's around America and Great Britain. He was reportedly worth in excess of $480 million in the early 20th century. During the last 18 years of his life he gave away $380 million of his wealth. 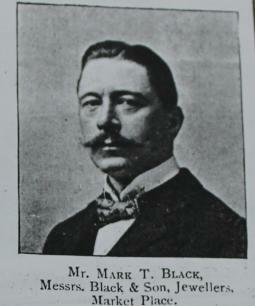 Mr W Taberer the Church secretary wrote a letter to Mr Carnegie on behalf of the church. A reply came back offering to pay the second half of £150 towards its cost, leaving the Church to organise raising the first part. The organ was built by Mr George Benson of Manchester and designed by Mr Arthur W Speed. There was a very large attendance to hear the musical serving that evening, every seat was filled and chairs had to be requisitioned for the aisles. Councillor T Horton chaired the evening along with Rev Knowlson. Mr Speed was one of the first to play the organ, followed by Mr Enos Bacon and Mr F Lester, the night was filled with music and singing. Finishing off the night with the Hymn 'Songs of Praise the Angels sang' the Doxology and lastly the Benediction. A sad day for Queens Road, however a new era for the Methodist's of Nuneaton. 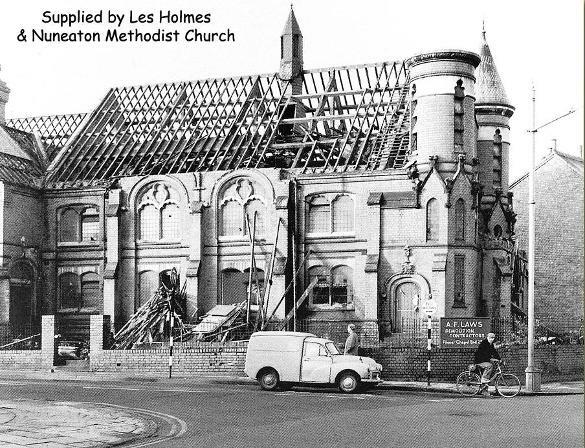 The Nuneaton Tribune reported on the 1st November 1967, that the Queens Road Methodist Church was put up for sale along with the Abbey Street Wesley Chapel the year before by Cartwright, Holt and Son of Coventry. Sadly the Abbey Street site was sold for £31,000 and demolished for offices and shops redevelopment. Bidding on the Queens Road Church reached £10,750, it was then withdrawn and was the put for sale by a private treaty, with an asking figure of £15,000. The Superintendent Minister Rev Francis Payne told the paper that they had put a condition on the sale, that the Methodist's retained possession for two years until they found a new home.